Anti-aging is big business. There is a plethora of overpriced products promising to turn back the clock. The reality is that the products rarely offer anything promising. Yet, there has been quite a bit of research in the field of aging skin that has resulted in promising results. 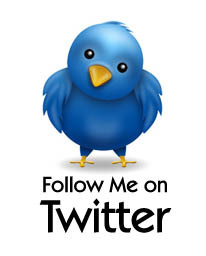 The key is to know what to look for and not be a be a victim of over-zealous marketing. This is why I like Reviva Labs. 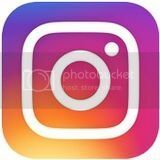 They offer simple, affordable products that deliver. Their assortment of fare always includes the latest technology. DMAE or dimethylaminoethanol is a natural compound that has been shown to increase skin firmness and reduce inflammation. 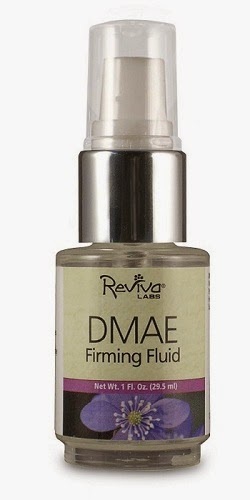 Reviva Labs DMAE Firming Fluid is my pick for the best topical source of this ingredient. It contains a high concentration of DMAE and leaves out other ingredients. Many times skincare companies inundate their products with star ingredients. This results with ingredients not mixing well, or they vie with each other rendering them ineffective. This is why I wanted a pure product. DMAE increases muscle tone over time by stimulating the acetylcholine, which helps muscles contract. Facial muscle contraction improves skin tone as well as skin firmness. I use the DMAE Firming Fluid at least once a day, whether it's in the evening before I apply moisturizer or during the day under makeup. The fluid goes on smoothly and the results are instant. Absorbs quickly into the skin, however, I wait at least five minute before applying makeup or moisturizer. Studies have shown DMAE to have a cumulative effect, thus I look forward to continued improvements. There has been a debate regarding the benefit of collagen and elastin in skincare. Both are proteins that basically support the skin's firmness and elasticity. Elastin focuses more on the latter. Some have argued that these proteins are not properly absorbed by the body when applied topically. Reviva Labs takes another approach with their High Potency Elastin Serum. The high potency serum is engineered to feed this protein which in turn boosts or increases skin's elasticity. This of course effects skin's firmness. After the age of 25 skin starts to lose it's elasticity yikes! As with the Reviva Lab's DMAE Firming Fluid, the effects of the High Potency Elastin Serum are immediate; skin tightens and under bags disappear, as well as cumulative. Both products are also clean and simple and can be easily incorporated into an already established skincare routine. The only downside: the High Potency Elastin Serum is not vegetarian. For me that's a concern. So even though I'm seeing good results it's not something I would buy again. My level of vanity is not too high to over-ride my principles. On the other hand, the DMAE Firming Fluid will continue to be a permanent staple in my skincare regime. Both products are very affordable. I have never used Reviva Labs products but would love to try these DMAE products to firm my sagging skin. I have never used Reviva Labs products, however my interest is piqued. I intend on learning more about and trying their products. I have never used the products before. I like that they have been doing this for over 40 years and have a lot of experience in skin care. I've never used Reviva Labs products but definitely need these items. I have never tried Reviva Labs products but I love great skincare items. I've never used the products before but I would like to see if they do what they promise. I too have never used the products before but I would like to see if they do what they promise. I have never tried Reviva Labs products but have heard good reviews and would like to try them. I've never used Reviva Labs products, but would love to try to help firm my skin, and diminish fine lines. I have never used Reviva Labs products, but I like the size & shape of the bottles. That style of bottle makes it very easy to use just the right amount of product. I have never tried their products before. Would love to be able to. I have never used reviva products before but would love to. I haven used but i sure like to. I've never heard of or used Reviva Labs products before. I would like to try them. Yes I have used Reviva Labs before.. I haven't had the chance to try the 2 products in the giveaway and would be VERY eager to do so, especially at my age of almost 47! For facial spider veins & redness. No, I've never tried Reviva labs but it sounds like a product I would love to try. i have i love their skin tightner serum it works great for my face! I have never used them before, but my skin is in desperate need of some serious help! I can certainly use this product. As I age my skin is getting saggy, not early as firm. I haven't tried Reviva Labs products before, I would be interested though. Unfortunately this brand is not available in my country, but I would love to try these products as I am currently looking for a good serum! I have not used these products before but I like that the results are almost immediate. I haven't tried these products but would love to try them as my skin is starting to show a little bit of age. I have never used this product, but boy does my face need it. I haven't tried Reviva Labs products. I'd like to try them to increase firmness and diminish fine lines. I've never used Reviva Lab products before but would like to try the DMAE, since it increases muscle tone over time by stimulating the acetylcholine, which helps muscles contract. I've not tried these products before. Turned 40 this year and, either the number has me looking in the mirror a little closer or the wrinkles have decided it's time to come out. Feeling like I need some help! I have never tried Reviva Labs. I have not ever tried Reviva Labs products before, but I would certainly love to give them a try. No I've not used it before but I am starting to get fine lines and looser skin. I'd love to see how it works. Reviva is new to me, but their products look interesting. I'm starting to see the effects of turning 49, lol! I haven't tried this brand but the clean ingredients is something I always look for. I have never used Reviva Labs before. I've read the review it appears to be an excellent product that I would like to try. I have never used Reviva but God knows I can use some help! I love everything I've tried from Reviva Labs. Their seaweed soap and oatmeal soap are staples in my house, and I love their mascara, and so many of their skincare products. The Vitamin K cream has helped with my husband's eczema so much! I have never used this brand before, but these products look great for anti-aging! I have never used or heard of this brand before, but it definitely sounds like something I could use since the results are fast. I have never used any products from this line, but I would like to try it since many other products I have tried have not delivered what they promised. I have never used Reviva Labs products before. I have never used this brand, but I would love to try them out! I would love this, never tried it! I have never tried anything like this yet. I would love to try them. I bet they are good. I have never tried these products but reading the description sounds like it would help just what my skin has been experiencing lately with elasticity. No, I've never used them before, but I've heard amazing things and this product in particular sounds incredible! I haven't tried this products, but would like to see how they could help my skin. I've never used Reviva Labs products, I like that they are reasonably priced. These products sound very interesting and I would love to try them. I have never tried these products before but could really use the firming product. I never tried their products, but would love to and see if they really work. Wow, I love the looks of these products, I would love to try to firm up my face, and not to metion other body parts!! Looks like a great product. my favorite part is the company and their products all have very high reviews on amazon which i like because it's normal people posting honest feedback. I've never used them but it sounds like they have done their research and have found a way to get the ingredients to increase skin's elasticity. No I haven't used Reviva Labs but it looks amazing. I have tried their products before. I really like the Hawaiian Seaweed Day Cream! I have never used Reviva Lab products before; however they look amazing! I love that you found that the products actually worked for you, that is the number one thing I look for is good customer testimonials! I am excited to find a product that has the benefit of collagen and elastin all in one skincare item. Lord knows when you hit the 50's , each year becomes a struggle to keep your skin firm and hydrated! Hopefully this product will help to slow down the aging process. I really like that the effects of the High Potency Elastin Serum are immediate! Who doesn't want to look younger? I love that the products are Organic and they are products I have not tried before, so interested in them. I love that these products are effective and within my price range.